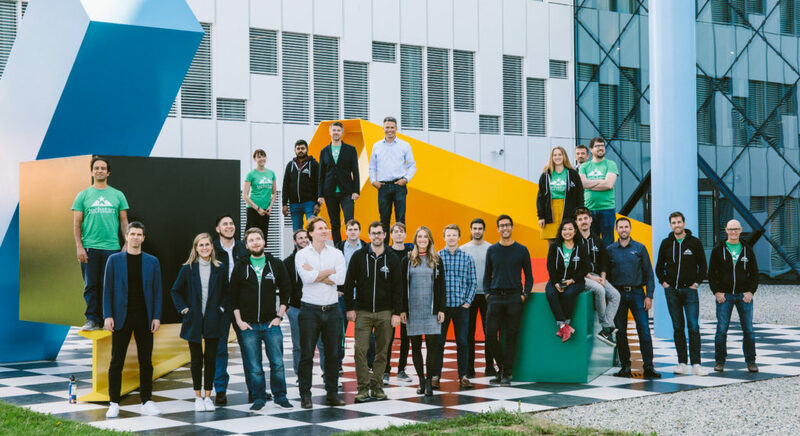 On September 10th the inaugural class of tech and energy companies participating in the Techstars Energy Accelerator in partnership with Equinor, arrived in Oslo. For the next 13 weeks the Equinor office at Fornebu is their primary working space. The task is hard – or let me say ambitious: the ten companies will compress two years of work into thirteen weeks. Their goal is to develop attractive and much needed products and solutions, make connections, receive funding, and sign deals with relevant stakeholders. I must admit I am extremely impressed by their capacity and hard work, not to mention their extreme sacrifices, leaving behind their support systems to spend time in this odd country way up North. But, of course, how could they say no? Norway has a world-class energy-technology industry, and the greater Oslo area is recognized as a true global energy hub. It is the ideal place to engage with subject matter experts in tech and energy, and – I would argue- the place to be if you are working on disruptive solutions within oil and gas, renewables, new business models or digitalization. Why Oslo and why Equinor? As you might know, Techstars is the world-wide network that helps entrepreneurs succeed. We have 46 accelerator programs across the globe. These focus on fintech, retail, artificial intelligence and healthcare, just to name a few. So now you might ask, why did we decide to establish an accelerator targeting the energy sector and why here in Norway? Many large ‘deep tech’ start-ups have been left out of the overall startup buzz. That is partly because the industries working with these types of solutions are complex, and partly because it takes more time and costs more to develop innovative solutions in the fields these companies typically engage. The energy industry is an example of this. But, nevertheless there are start-ups in this space. The thing is though, they haven’t had access to a world-class accelerator environment that understands their problems and unique challenges. Until now. When Techstars moved into the mobility vertical we chose Detroit and Ford, when we moved into music we decided to go for Los Angeles to work with Sony. When we looked to move into energy, Oslo, Norway and Equinor was a natural call. This country has been innovating in the energy space for decades, and Equinor is a key player in the energy transition. Moreover, no country has a population more invested in a new energy future, which is quite exciting. I am writing this piece about half way into the program. The companies have just met with more than a hundred mentors and the period of “mentor madness” is coming to an end. Yet, this does not allow for slower pace. The companies are now gearing up for Demo Day, an event were their thirteen weeks of work will be displayed and showcased for key stakeholders. So far, we have seen a growing interest in the program. But success of this program will mean increased awareness both here and abroad and having already spanned the globe looking for amazing companies last year, we will be able to be more targeted when recruiting next year’s Techstars Energy class. So, if you know someone who should apply, shoot me an email. Ampaire, USA. Ampaire is making flying accessible to more people from more airports by building electric aircraft that are greener, quieter, and less costly to operate. Crux OCM, Canada. Crux OCM utilises AI and real-time optimisation to enable autonomous operation of pipelines, reducing the risk of operation and increasing volumetric throughput up to 4%. DeepStream, UK. DeepStream is a secure cloud-based procurement network for buyers and suppliers of equipment and services, particularly in the oil and gas and energy infrastructure markets. Interface Fluidics, Canada. Interface Fluidics’ proprietary nanofluidic platform provides rapid lab testing that empowers the energy industry to understand how their chemicals perform, 100x faster and with more detail. Opus 12, USA. Converting CO2 into fuel and valuable products. The technology will have the CO2 converting power of 37.000 trees, but in the volume of a suitcase. SafeEx, Denmark. Today oil companies do maintenance using pen and paper. SafeEx’s software digitises inspection and maintenance which saves their customers 25-40% on manpower. Sensytec, USA. Sensytec has developed Smart Cement™, a technology to help Oil and Gas operators enhance cement integrity by monitoring cement conditions in real time through the life time of an oil well. Versor, Norway. Versor makes drone autonomy software for end-to-end infrastructure inspections, enabling AI-driven data capture and automatic fault detection across industrial applications. Voyager, USA. Voyager is a cloud-based data hub helping the commodity shipping industry enhance decision making, automate processes and connect systems.